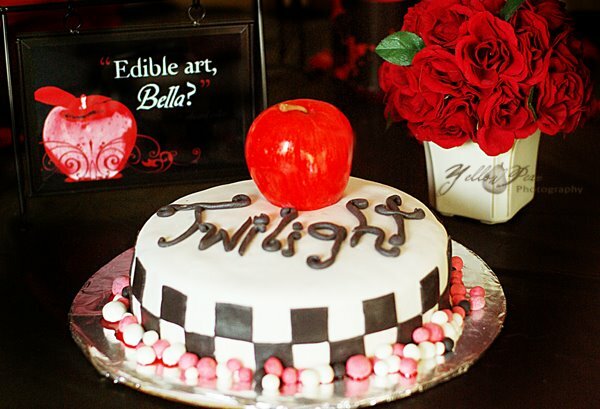 I went to a friend's Surprise Birthday Party the other day and since she is a self-proclaimed Twi-hard...we figured we had to throw her a Twilight party. 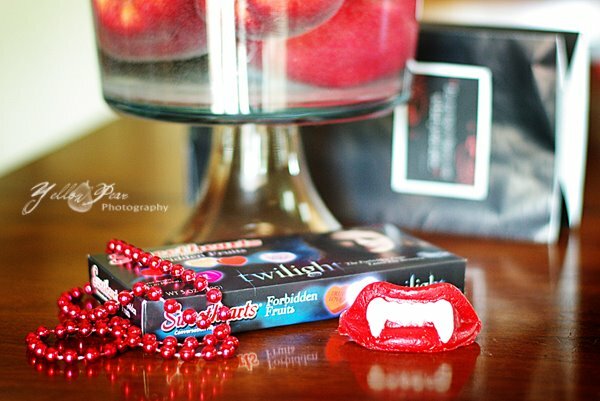 These are the party favors we came up with....some red beads, wax vampire lips/teeth (I know, I know they don't have fangy teeth in the book, but it was just too funny! ), and finally some Twilight edition Sweetheart conversation hearts...and the flavors are so tasty! 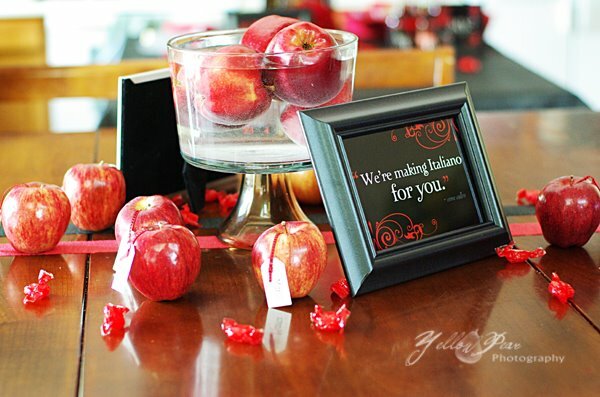 The favors came in black gift bags sporting labels with movie quotes and red beads "dripping" out. I kill myself. The Birthday Girl recieved a gift bag with the above items as well as Freesia lotion, Twizzler Cherry "Bites" and sparkly, diamond lip gloss. I searched high and low for the lotion which I was determined to get and finally found at Walgreens! I might have been teased a little for my obsession to find the discussed lotion...but what can I say, I love the little details! Here is our table, note the quote....it gives a hint as to our delectable dinner. 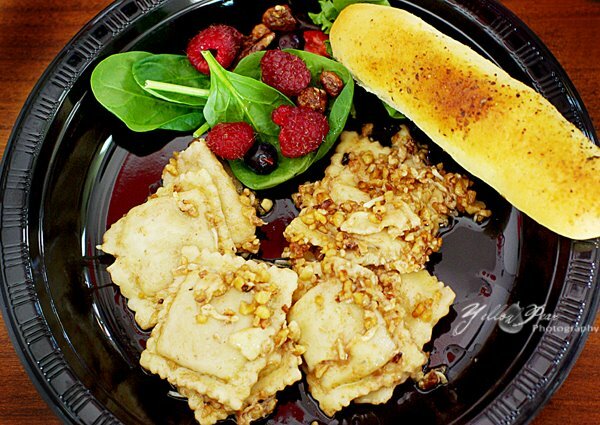 The Menu consisted of Mushroom Ravioli, breadsticks and salad....does that sound familiar to anyone?? I was in charge of the Mushroom Ravioli since I was adamant about that detail...I even added the recipe for your enjoyment, it really is to "die for". Tee hee. This salad was almost like dessert...oh my...what bliss on a plate! 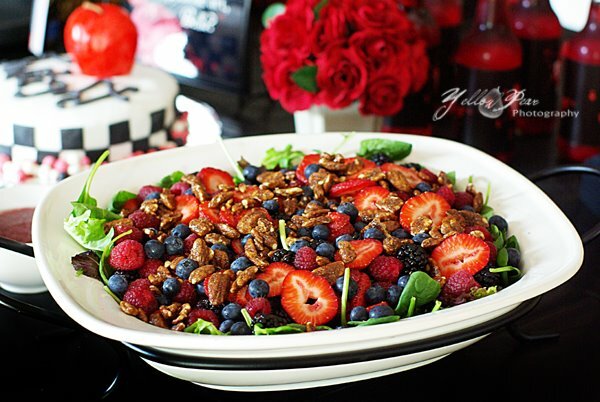 It was full of all sorts of wondrous berries...~look closely~...and topped with candied pecans and finished with a delightful raspberry vinaigrette. 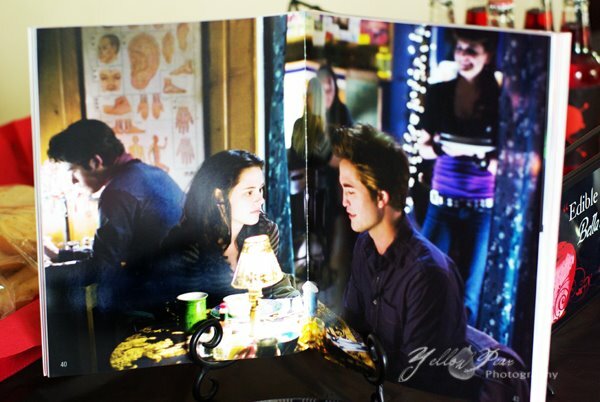 Part of the decorations was a magazine page of the dinner scene displayed at our food table. 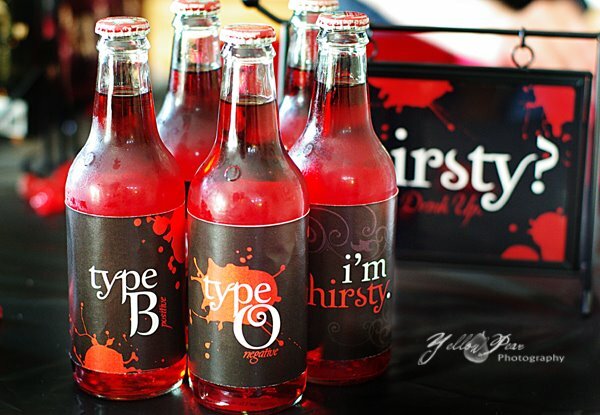 One of my favorite parts...red soda and check out the labels!! We got them here and they were totally schnazzy! There were also printable movie quotes to print and frame, which we did and you can see randomly throughout this picture parade. The Birthday Girl taking a little swig of her O negative! You can't have a birthday party without party games....hilarious. And just for the record (and I am by no means competitive)... my set of lips are the ones on the right side of HIS lips! (not to be confused with the set on the shaded side of his face) What can I say, I am talented at the "Pin the ___ on the ____" games! Good thing I shared first place so graciously! 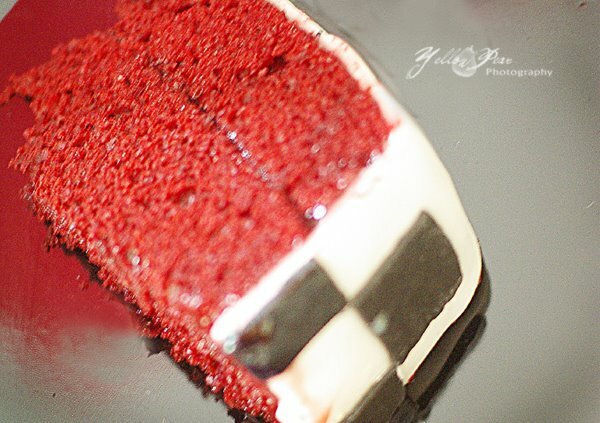 The inside of the cake...check it....red velvet cake with strawberry glaze filling....quite appropriate, right!? 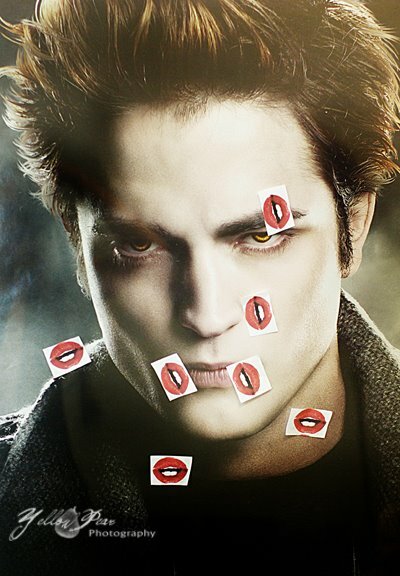 Oh, and a SHOUT OUT to my Edward today. Happy Birthday! I will not disclose your age, no worries. And finally, here is the recipe as promised. Safeway has some stellar frozen mushroom ravioli in case you were wondering. Bring a large pot of salted water to a boil over high heat. Add the ravioli and cook 4 to 5 minutes, until tender but still firm to the bite, stirring occasionally. Drain ravioli onto a large serving platter. Meanwhile, in a medium saucepan cook the butter over medium heat, stirring occasionally. When the foam subsides, and the butter begins to turn a golden brown, about 3 minutes, turn off the heat. Let cool for about 1 minute. Stir in the balsamic vinegar, salt, and pepper. I love how you guys went all out on this! I so want to copy it looks like it was a lot of fun!!!! 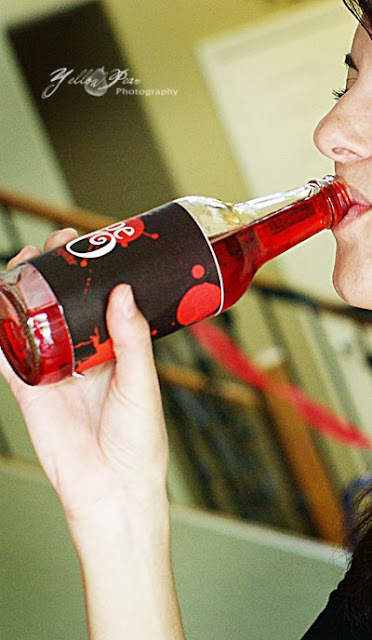 Oh so cool. Who's birthday was it? Where did you have it at? It looks like soooo much fun and yummy too. wow! i love it! i am amazed. truly. you have hit a new level of twilight die hard. :) all the detail is awesome! Oh, myLANTA!! Lou, you've totally outdone yourself once again! You are putting us all to SHAME! Will you throw a party for me for MY next birthday?? :) I'll give you a theme to work with and $500. Whattaya say?? So that's what mommy's do during the day! I thought they just did laundry and watched Soaps...I was VERY wrong! $500 from Tonya I say we plan it together and split the extra $450. I love all the details. It is what makes a great theme party. PS I am a great auora reader. Oh so wonderful! I can't get over all the fun details. All that food is making my mouth water! Everything looks awesome! That cake is pretty impressive too! That looks way fun! I bet you guys had a blast. 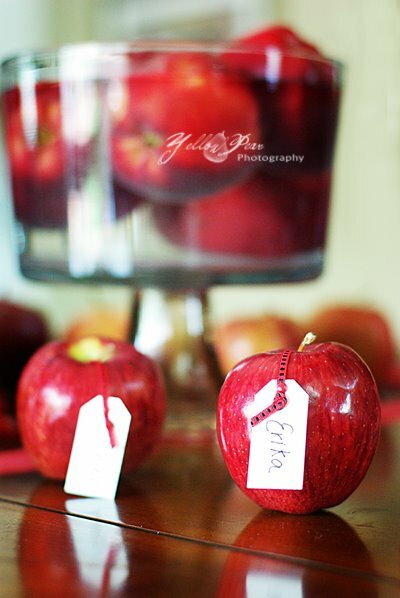 Great job on the food, decor, favors, etc. I wouldn't expect anything less from ya! !